Ben Denzer and Lily Offit, 2019 after Andy Warhol, 1962. The Center for Book Arts and Savannah College of Art and Design. Ben Denzer, 2019 after Andy Warhol Eating a Hamburger, 1981. The Center for Book Arts, Oberlin College, and Savannah College of Art and Design. Edition of 192. 8 colors. 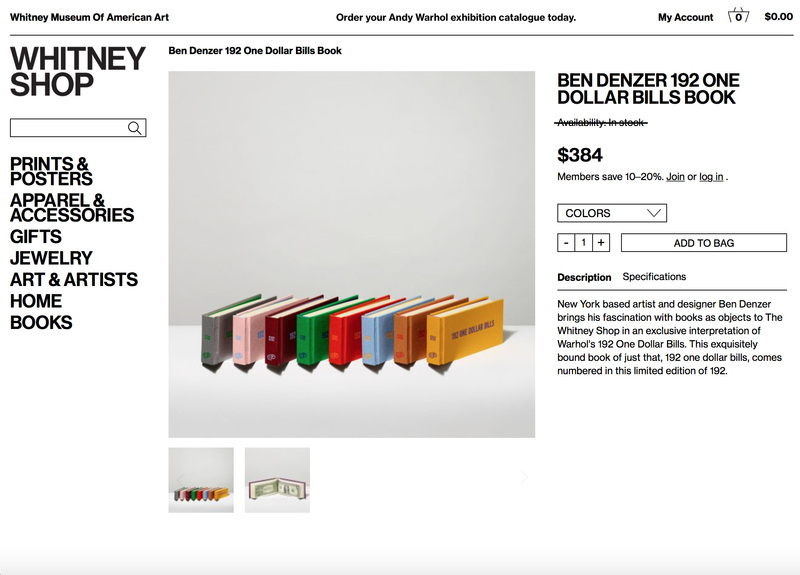 Ben Denzer, 2018 after Andy Warhol, 1962. The Center for Book Arts and Harvard University. 2000 architectural details sorted by formal characteristics.